The United States of America has one of the best economies in the world. There is only one reason for being at the top, and that is hard work or we may say, labor. To acknowledge and appreciate this work of each and every individual of the country that has led it to the top, we celebrate LABOR DAY on the first Monday of every September. The first Labor Day was observed in 1882 and since then, the ways of celebrations are being changed constantly. From the former pompous rallies and marches, the activities on this day have changed to speeches or, just rest. This is the last long weekend till thanksgiving and the best chance to have a final outdoor trip with family and pets as this day may be a final farewell to the sunny days. To add some excitement and to pay a tribute to all the dog-workers of the USA, CanadaVetExpress, a few months old pet-care online store is offering a huge discount of 15% on all products. However, before choosing us, we would like to give a brief tour of our online store! It has not even been a year since the launch of CanadaVetExpress. However, the remarkable thing is that in such a short span of time, we have received a lot of love and appreciation for our work from the pet owners of this country. We are climbing the stairs of success steadily and expect to become one of the most opted pet suppliers in the USA. The reason behind becoming one of the steadily growing companies is that we offer the best brands at lower rates and we supply a wide range of products. We stock pet supplies for canines, felines and birds. 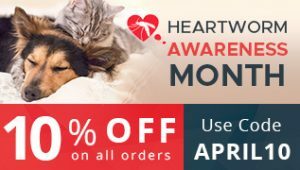 You may find an exclusive range of brands for the categories: flea and tick control, heartworm control, joint care and arthritis, and wormers. CVE can be the best destination to shop for bird supplies, yes; we have that big a range for your feathered pets. Apart from these inevitable products for pets, we also provide pet health care supplies that include treatments for eye and ear care, nutrition development, vitamin supply and wound repair. All these essential products can be bought at super cheap prices form CanadaVetExpress. The LABOR WEEK SALE is one of our ways to reach maximum number of pet owners! CanadaVetExpress has a huge variety of pet supplies and if you connect with us through this sale, you will be able to buy some unique products at 15% discount. We sell the necessary treatments like flea and tick, and others at already discounted prices. This sale will further lessen the rates. The combination of our low prices and 15% discount may be perfect for you to stock on your pet supplies. Moreover, we do not charge for shipping and thus, this sale can be a complete saving bonanza offer! In all, you are a precious part of CanadaVetExpress and we aim to reach as well as benefit maximum number of pet owners. You can grab this Labor Week offer for the whole week and shop to your pet’s content! 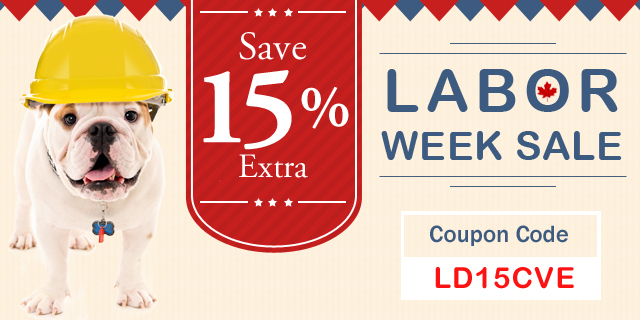 Use coupon code: LD15CVE while checking out and save big this Labor Day! PREVIOUS POST Previous post: Fact Files: Unusual Facts About Flea And Tick! NEXT POST Next post: National Pet Memorial Day Sale- Best brands at 15% off on CanadaVetExpress!